Before you start tearing up tiles, flooring, and removing old fixtures, you should know what you are going to replace everything with. Spend more time on the planning portion of the project before starting in on the actual work. This will allow you to have a functional bathroom space while you decide on the new items and the changes that you want to make. You can set your budget and shop around, both online and in stores and showrooms, to find the items that you want. In some cases, you will need to place a special order for some elements, like tiles, so you want to have an idea of when they will be arriving before you begin demolition work. 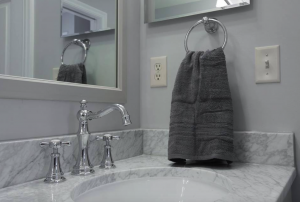 If you just want to give your bathroom a facelift and you don’t need to change out any of the major elements, focusing on the design details will allow you to have a quick and smooth remodel. Changing outdated design features will give the room a whole new look. Browse current bathroom trends to get an idea of the type of style you want to achieve in the space. 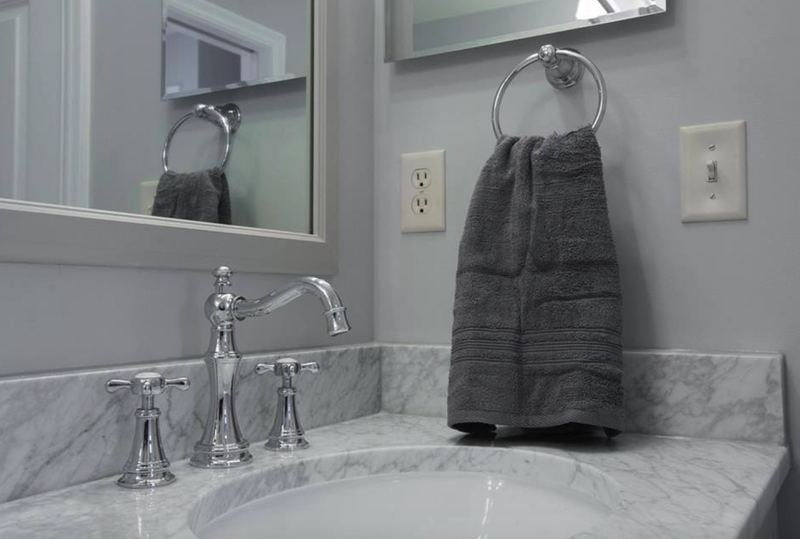 You can shop for new hardware for cabinetry, new faucets and fixtures, and even replace the vanity countertop to bring an updated look. Simple things like linens, wall décor, and even the mirror can make a big difference. One of the main reasons that a remodeling project can take longer than anticipated to complete is because homeowners try to tackle it all on their own. It can be time consuming to try to figure out the different steps that need to be taken, and without the right tools and skills, you can end up losing out on a lot of time. Save yourself the hassle, stress, and time by calling in the professionals. Rather than attempting to learn an entirely new skill, such as installing tile, hire an experienced pro who can ensure a flawless final result. Don’t let your bathroom remodel become expensive and stressful. Follow these pro tips for a smooth, successful project that you’ll be proud of. I like that you mentioned to spend more time on the planning of a bathroom remodel than the actual work. That way, you will be completely prepared and the work should be efficient. My wife and I are planning a large bathroom remodel this year, and we want it to be as easy as possible. We will definitely keep these tips in mind.